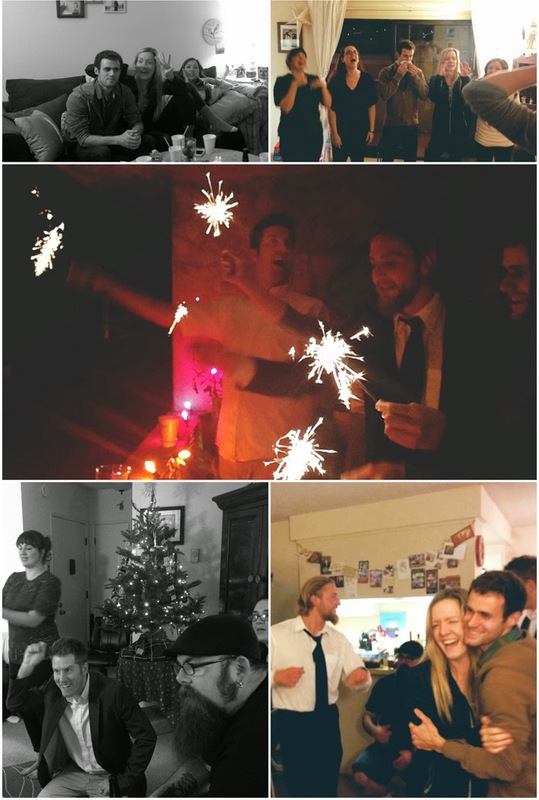 New Year's was good to us, friends. Honestly, it may have been the best one yet. The entire time was filled to the brim with amazing company, fantastic food, friends, laughs, games, adventures, and so on. Goodness, what a great way to finish 2013 and welcome 2014. Bill and I had a dear friend from Tennessee come and stay with us for the New Year. Michele, from SentimentalHeart is such a dear. Sweet, loving, and an amazing photographer! Can't wait to see her photos from this trip! We thoroughly enjoyed her company to the fullest! 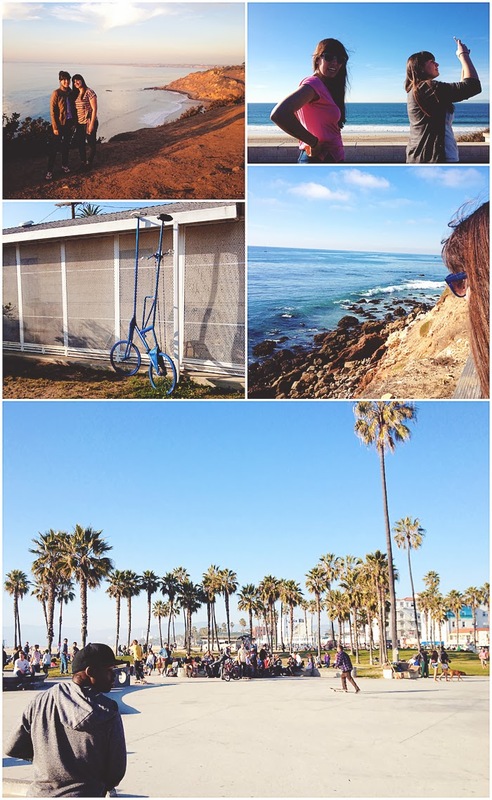 We took her around and visited our Southern California beaches, including the ever popular Venice (ahem...hence the dancing man and skating stretcher! ), had her taste some of our delicious restaurants (uhhh including In N Out!! ), and sat for hours each night talking about life and Jesus and giggling away. 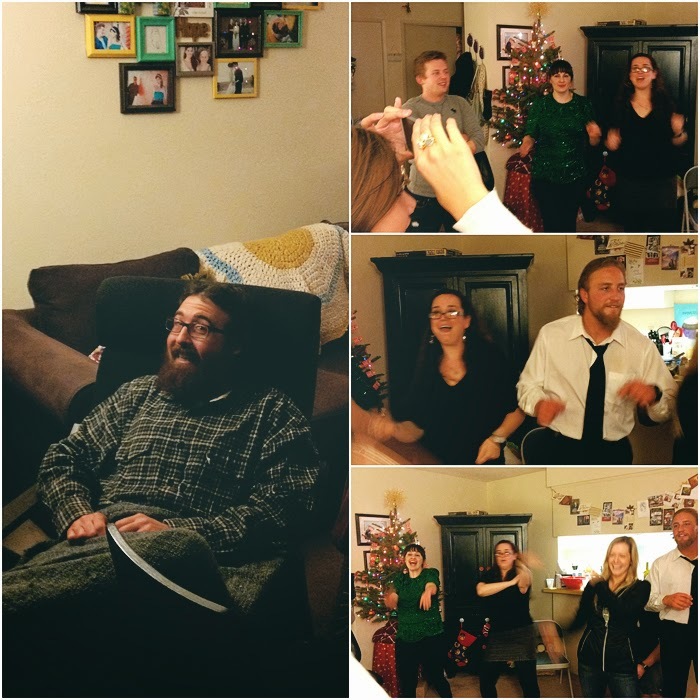 Then for New Year's Eve, we had a few close friends over for a night of games, dancing, and FOOD. There was SO much food!!! My kind of night. I don't think I've ever laughed as hard as I did that night. Mombi and Mustachio didn't know what to do with themselves with all the people there! Praising Jesus for this time. this looks like so much fun! and what warm weather :) that is always fun to see in the middle of winter!! i love food, friends, and games too.... priceless!! It was just what we needed. And yes! We have officially NOT had a winter so far! It's been in the 60's-80's since...for weeks! gosh. seriously, california is so beautiful! my trip out there is almost offish...the 1st weekend of march. i know it'll be cooler temps by california standards, but i'm still so excited!! Wait till you see my friend's pictures! It's coming up soon. Goodness gracious. It'll blow your mind.